The Bristol Knee & Sports Injuries Clinic specialises in treating knee problems, sports injuries and all other problems with knees, other joints and orthopaedic problems. We can diagnose your problem, and operate if necessary to restore you back to your normal activities and full fitness. 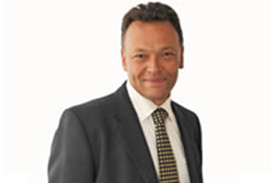 Our team is led by David Johnson, a widely published and pioneering orthopaedic surgeon with an international reputation and who is widely published. We also offer expert opinions in cases of road traffic injuries or medical negligence. The Macmillan Cancer Support Dragon ride 2015 Thousands of cyclists conquer valleys and mountains to slay dragon David completed the Macmillan Cancer Support Charity Ride June 7th 2015. The Wiggle Dragon Ride is the har .. Spotlight on Internationally renown Orthopaedic Sports Injury Surgeons. 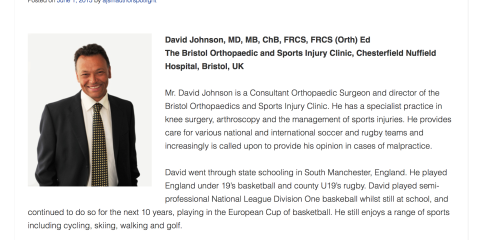 David Johnson is honoured by a Spotlight on Internationally renown Orthopaedic Sports Injury Surgeons. The American Journal of Sports Medicine features in its June 2015 edition lon .. 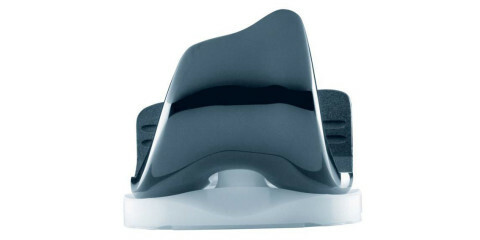 The Oxinium Ceramic Total Knee Smith and Nephew Orthopaedics developed a new knee in 2002. 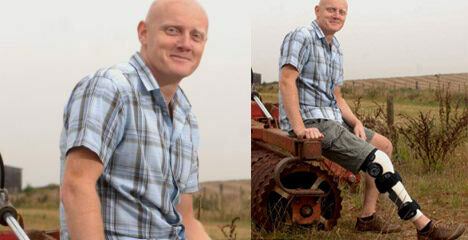 For the first time this incorporated a low friction and low wear ceramic surface into the components of a total knee rep ..
Professional footballer travels to Bristol for career saving surgery Ben Schwarz, professional soccer player from Munich, travelled to Bristol with the team doctor to undergo surgery. 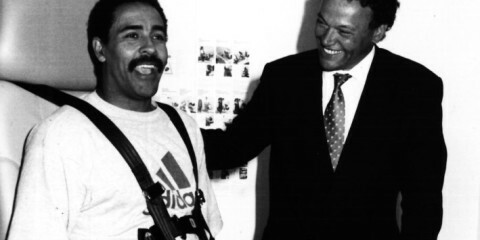 Ben sought a special consultation with the internationally renown ..
Dailey Thompson Opens the Spire Hospital Bristol Dailey Thompson the double gold winning Olympic Decathlete opened the new Spire Hospital Bristol. 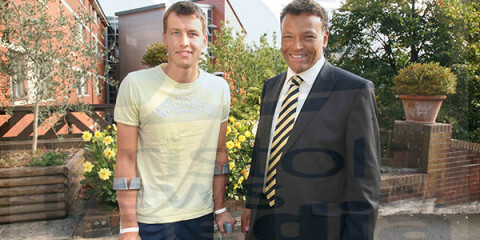 Seen here with leading Consultant Orthopaedics and Knee surgeon David Johnson in t ..
Bristol’s First Knee Transplantation was successfully undertaken. Mr. Johnson said “This is a particularly difficult procedure to perform and on this occasion took over 4 hours to complete. Whilst such knee transplantation is only suitable for a ..